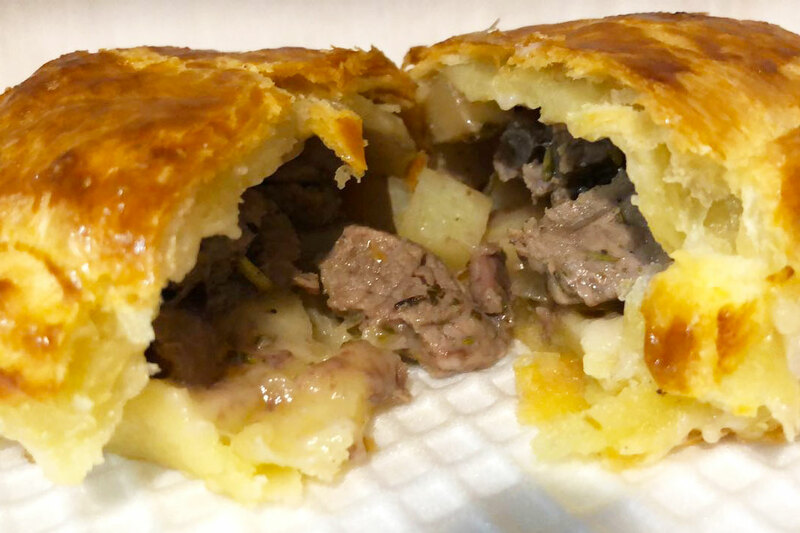 Just because you eat a pie or pasty doesn’t mean you should not have high quality ingredients. 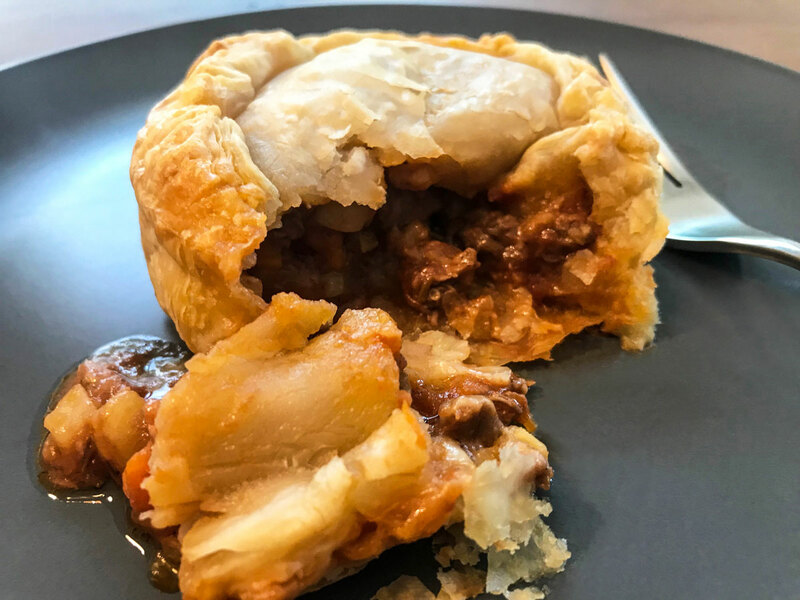 We make our own pastry by hand and our pie and pastry filling is the highest quality using using only lean black angus and signature lamb that we sell in our store. Our meat in the pies is hormone and antibiotic free. Order then frozen to cook at home or let us cook them for you. We also offer a pie, mash, peas and gravy meal. Cook at home frozen for 35 minutes at 180 degrees celsius or until golden brown. The internal temperature should be piping hot, above 85 degrees celsius. Add AED 5 per pie if we cook them for you. *Add AED5 per pie if you want us to cook them for you. A luxurious way to eat beef. 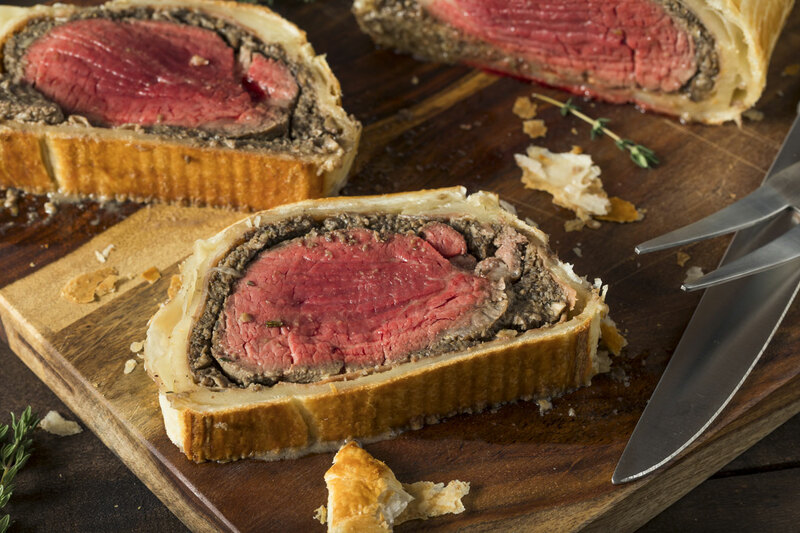 Our famous Wellington's start with a piece of Australian prime tenderloin, rubbed with dijon mustard and covered with a mushroom duxelle. Then wrapped in a savoury crepe and our homemade pastry, ready to cook in your own oven. Follow our instructions to enjoy this indulgent way to eat beef. Add AED 25 for us to cook it for you. We strongly recommend you cooking yourself so that you can eat it as soon as possible from coming out of the oven. *Add AED5 per pasty if you want us to cook them for you. Our food may contain allergens. Where specific allergens are known to be present we identify them using the following key. Note that all of our food is prepared in one kitchen and traces of each allergen may exist in all foods. Allergen Legend: D: Dairy such as egg, cheese or milk; S: Soya; G: Gluten, wheat and Lupin; C: Crustaceans; N: Nuts, peanuts and sesame seeds; M: Mustard; F: Fish; SD: Sulphur Dioxide; CL: Celery. Parking available in the visitor parking under Shoreline Building 9 or out the front. © 2018, Grand Gourmet Grocer. All Rights Reserved.